Some big names were finally inducted into the Basketball Hall of Fame on Friday night. A total of 13 players received one of the most prestigious honors in the sports world, which included Jason Kidd, Grant Hill, Steve Nash, and Tina Thompson. 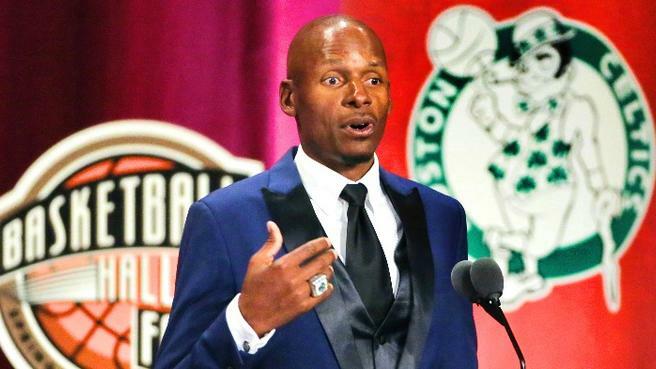 Ray Allen says the Celtics was his most important time of his career, and had high praise for, who many consider the 3 point GOAT, Reggie Miller. Kidd, what a legend. We all knew that J will be on the sauce straight after this! haha! Grant Hill’s speech was extremely well thought out and intimate. Who knew he was such a great public speaker? Hill shared why he decided to start playing basketball and who he idolized along the way. His speech was easily one of the most sincere of the night with all of his personal anecdotes. Steve Nash is yet another icon who gave some words of wisdom during his speech. One highlight is definitely when he tells the children in the audience to find a passion and do it every day. Nash’s speech proved to us yet again how much he truly loves the sport. One of the bigger highlights of the entire night had to be Tina Thompson’s time at the podium. As the first No. 1 pick in WNBA history, Thompson delivered a heartfelt speech that highlighted how thankful she was for her opportunities and the amazing support she received. In other basketball news, Ben Simmons just bodied a wannabe internet troll.